Resin Graduation Male Figure Trophies. 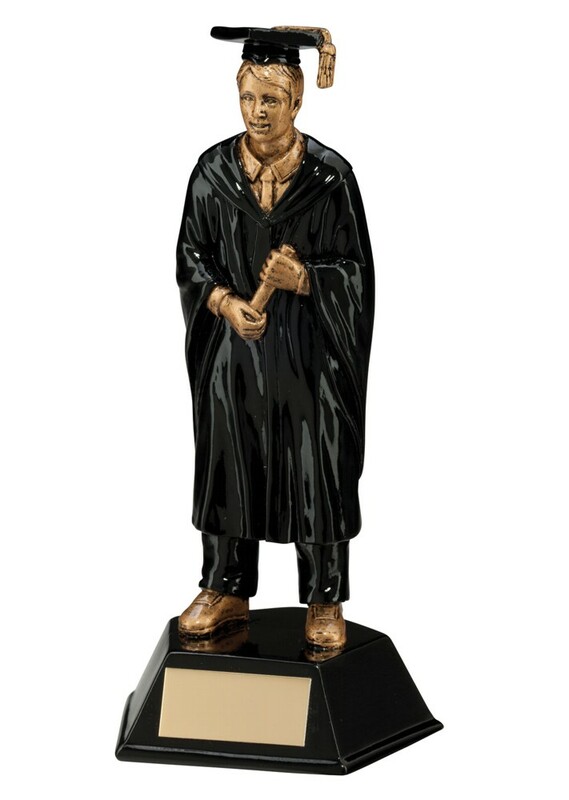 This great graduate award measures 170mm high, is matt black with gold highlights, a solid resin figure mounted onto a black heavy base. Complete with a free engraved plate.